There are a lot of things to consider when moving into a new home: organization, decoration, storage, and so on. One of the most important considerations to make during this process is what you’ll do about home security. Keeping on top of home security is about more than just protecting your possessions: it’s about protecting your family, your peace of mind, and your way of life. That’s why we’ve put together this new home security checklist. Print it out, keep an eye on it, and use it to make sure that you - and your family - can be sure of your safety. When it comes to your exterior doors, you're going to want ones that are solid instead of the more common (for indoors) hollow-core doors. If there are any glass panels your exterior doors, make sure they're reinforced with a security glaze. Motion lights can make a world of difference for both your front and back yard. In addition to motion lights, having low-wattage switch lights for all entry points are helpful in a practical sense, and they can also scare away potential intruders. Make sure your door and window locks work and that you're vigilant about locking them every time you leave, even if it's only for a few moments. Reinforce entry point doors with deadbolts, and don't store your spare key somewhere too obvious. People always look on top of door frames, inside flower pots, or under rocks, so do your best to think creatively. Shop around for your best options. Ask questions, be vigilant. 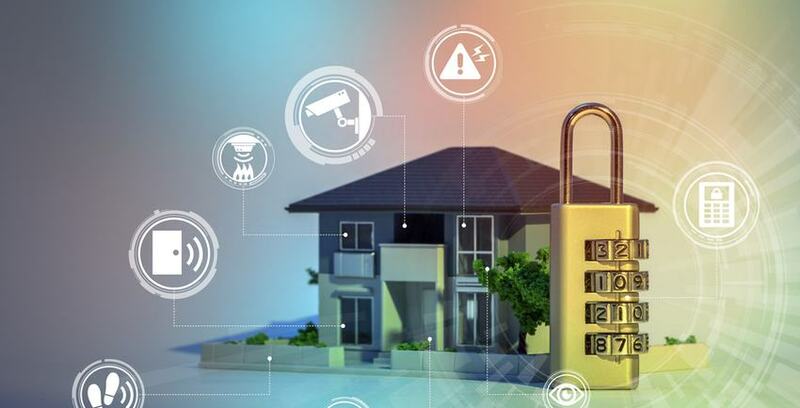 Security systems are a serious investment, so don’t just jump into a decision. Investing in a system that sounds a loud alarm and contacts a security company is going to be your most successful option. A neighborhood watch group is a simple way to form the sort of community that benefits everyone. Together you can meet to discuss any potential issues and implement plans and practices to keep those issues out of your neighborhood. If no group already exists in the area you’ve just moved into, you can contact local law-enforcement to see what steps need to be taken in order to start one yourself. Our only warning: make sure nobody who joins the group goes full Batman in the process. If you have valuables that aren’t regularly used, consider placing them in a storage unit. There are many storage units now available that have climate control, 24/7 video surveillance, and other features that can’t be beat when it comes to protecting possessions. When it comes to home security, vigilance is the first step toward keeping your family, yourself, and your possessions safe. If you’d like a little extra help on the possessions front, Storage Direct is always available to provide the very best storage units in the business.